Not to mention, nowadays, mechanical keyboards are more affordable than ever– perfect for students or folks with a limited budget. If there’s one thing you have to know about mechanical keyboards, it’s that they are extremely customizable. You can basically make a unique peripheral all unique to you and your needs. If you’re a beginner who’s only starting to learn about mechanical keyboards but would like to choose one for yourself, don’t fret! Here’s a short guide on how to choose your mechanical keyboard. The first thing you should determine before choosing a mechanical keyboard is your reason for buying it. Why do you want to switch to a mechanical keyboard? Gamers benefit from mechanical keyboards due to their more noticeable feedback. This helps gamers hit keys better while they’re playing, especially for games that require fast reflex actions. You like typing a lot. Mechanical keyboards are a lot more durable than regular keyboards. A regular only has a lifespan of about 15 million key presses. Meanwhile, a mechanical keyboard has a lifespan of around 50 million keypresses, more than twice that of the former. This means that for those people who type a lot, mechanical keyboards can be a good choice. You don’t mind high-maintenance things. Mechanical keyboards can be extremely high-maintenance. They need to be cleaned and cared for more than a regular keyboard. This doesn’t mean it’s hard to maintain them, though! 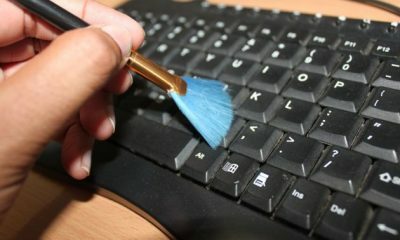 Cleaning each individual key is actually pretty easy, so you don’t have to feel like it’s a hassle. Mechanical keyboards are well-known for being highly customizable. Since you can remove and replace all the keycaps, theoretically, the customization options are just endless. Once you’ve already determined your purpose, now it’s time to choose your mechanical keyboard based on the size and form. Like regular keyboards, mechanical keyboards also have different form factors and layouts. Mechanical keyboards usually come in three sizes: Full-size (100%), Tenkeyless (TKL, 80%), and Half-size (60%). There are key differences between these three, so it’s important to consider their features in mind. Full-size keyboards have everything you can possibly need in a keyboard. They have all the function keys and a full-size numeric pad on the right. Many best buy mechanical keyboards used for gaming has this layout since a lot of games tend to use number shortcuts for gameplay purposes. Tenkeyless, or 80%, keyboards are called such since they don’t have the numeric pad– lacking the ten number keys. This makes the keyboard much smaller and the mouse closer to your hand when you’re typing. 60% keyboards are the smallest of the main types of keyboards. They don’t have any arrow keys, function keys, or a numeric pad. This means that you have to do the Fn-(key) when you want to toggle the different functions. Your choice of form depends largely on your purpose for buying one in the first place. For example, gamers or data-entry people may want full-size keyboards while those who just like typing may benefit more from TKL keyboards. Like we mentioned before, mechanical keyboards can be fully customized, from their switches to their keycaps. When you’re deciding on how to choose your mechanical keyboard, the keys are probably the most obvious thing you’ll be looking at. Before we get to the ‘shallower’ side, a.k.a. keycaps, you first might want to pick out the switches for your new keyboard. Mechanical keyboards vary greatly when it comes to switches. There are heavy switches, light switches, noisy switches, less noisy switches, and so on and so forth. Some people want heavy, noisy clicks. When they press on a key, they really want to feel and hear the sound of it. Others, not so much. They prefer some light, so as not to make much noise when they’re typing. This depends largely on you, so if you can, try out a couple of switches first before deciding. Your comfort is key (ha!) when it comes to choosing your brand new keyboard, so don’t hesitate to spend more time on testing. Of course, there are other aspects that also come into play when choosing a mechanical keyboard. For one, the brand. Some brands tend to be more obscure than others, which means finding replacement keycaps for them may be harder, leading to a more expensive keyboard. Another aspect you should consider is your ability to actually put the keyboard together. If you’re scared, opt for a pre-built board, or something that doesn’t need much custom skills. Some custom mechanical keyboards require soldering, and if you don’t have enough confidence in your skills in that aspect, it might be best to avoid them. Once you get more experience, you’ll find that mechanical keyboards can be quite a nice (but sometimes expensive) hobby! Hopefully, this guide gave you enough tips on how to choose your mechanical keyboard! Happy typing!